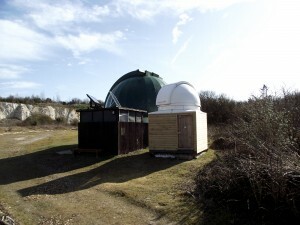 The Thanet Observatories are run by the Monkton Stargazers astronomy group, who are scientists and engineers willing to give up their free time to educate the public in scientific matters. 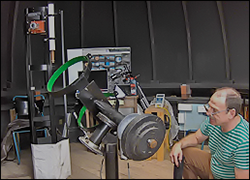 The main observatory houses a 12 inch Newtonian Reflecting Telescope with a parabolic mirror of focal length 68 inches. It is controlled by a drive system built by AWR Technology in Deal.